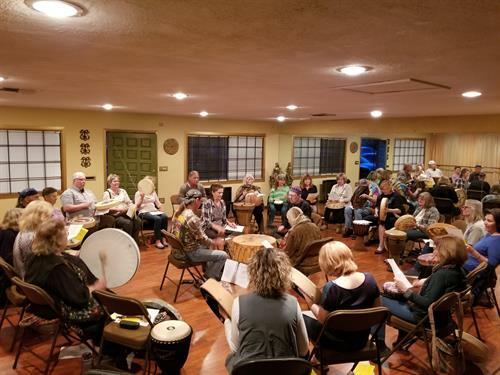 Join us for community drumming led by Sandra Cosentino and Arvel Bird. With ceremony, free-form drumming, chanting, singing and dancing, every circle is different and exciting! Bring your favorite percussion instrument, hand drums, bells, shakers, or we have plenty to share. Email journeys@crossingworlds.com.